If you are looking for a luxury wagon with both sophistication and cargo space, then stop into Jaguar Colorado Springs today to look at the last of our 2018 Jaguar XF Sportbrake inventory! This model is discounted from its original MSRP of $77,466 down to our price of $67,466! With an attractive exterior color of Silicone Silver paired with its unique combination of Ebony Fascia/Ebony/Lt Oyster colored interior, this is an eye-catching luxury wagon to say the least! Equipped with a 3.0L V6 supercharged engine, you are looking at getting an estimated 18 MPG city/25 MPG highway fuel economy. Plus, the features you can look forward to enjoying include heated front and rear seats, electronic stability control, head-up display, HomeLink garage door transmitter, 11-speaker sound system, and tire specific low tire pressure warning. So, if you’re looking for a new vehicle for the holidays, this is the perfect option for you! 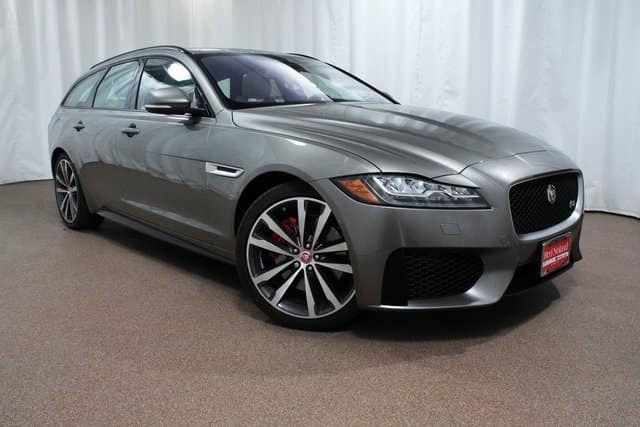 Stop into Jaguar Colorado Springs today to look at this 2018 Jaguar XF Sportbrake and even take a test drive!